One of Cherry Mobiles greatest phone is Cherry Mobile Omega HD 2.0, with its 5 inch IPS 720x1280 display you can enjoy great video and game quality, that every details are found. 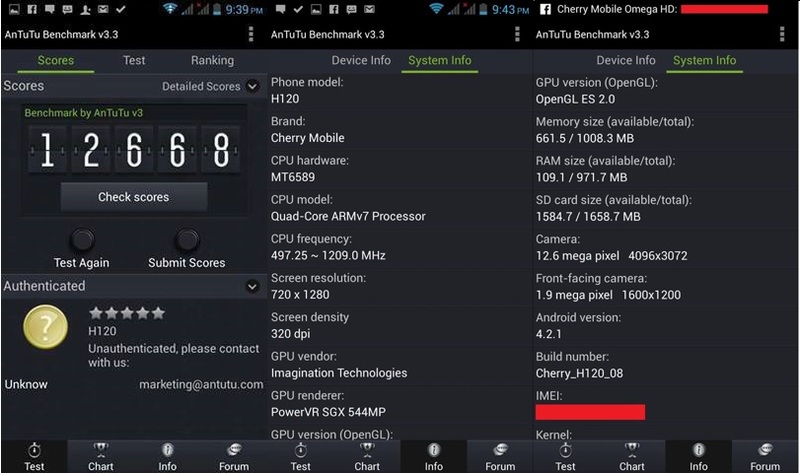 Running on 1.2GHz quad-core MediaTek MT6589 processor, Cortex-A7, multitasking has never been easy, background apps are running while doing something. 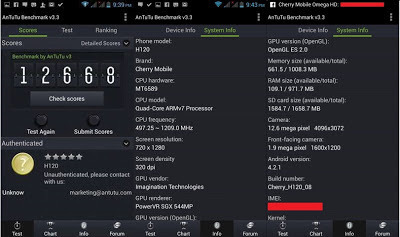 Running on the latest Android software Jelly Bean 4.2, Cherry Mobile Omega HD 2.0 can surely download any app in PlayStore without any compatibility issues. The battery can also last for half a day of heavy usage equivalent to 2,100mAh. Cherry Mobile Omega HD 2.0 can be bought at P8,999 (SRP), for a quad-core phone the price is worth the cost. Cherry Mobile Omega HD 2.0 is one of the most powerful mobile phone as of now for local made, like the above specification suggest. One of the best thing about Cherry Mobile Omega HD 2.0 is that the camera is 12MP autofocus BSI camera with LED flash, enough clarity to see the holes of your skin (exaggerated), but honestly its 12MP. Note: Stay tuned for my rooting tutorial for Cherry Mobile Omega HD 2.0, so how to root Cherry Mobile Omega HD 2.0 you say? Coming soon. heard a l0t of issues like dead pixel and backlight leaks...any c0mments? 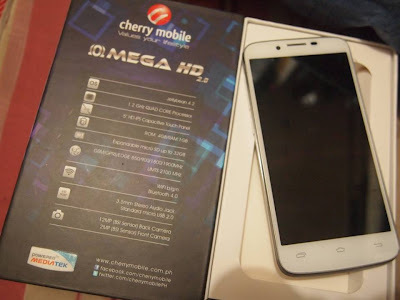 I stopped reading at "Cherry Mobile Omega HD 2.0 is one of the most powerful mobile phone as of now for local made" - PLEASE!!! Local made? Really? Where is their manufacturing plant in the Philippines? I do not know if you made a mistake here or you do not actually know that they buy manufactured phones in China and rebrand it as Cherry Mobile. When writing, credibility is important. So do your research first. lahat naman ng company like samsung,apple,sony at iba pa... meron din made in china kasi pumili din sila ng mas cheaper manufacturer which is China... eh kahit nga Playstation Vita ko Asian Version and made in china pero same quality lang sa mga US,Europe and japan version... pero kung ayaw mo nito then bumili ka na lang sa mga mamahalin brand saka wala naman phone or any gadget na hindi nasisira boom!!!! Tama si Anonymous. Apple has a plant, Samsung has a plant. Pero Cherry Mobile get their phones from OTHER brands and then rebrand them as their own. It's not a matter of whether it's MADE in china or not, it's a matter of WHO ACTUALLY BUILT these phones. For example, iPhone is a phone from Apple, Galaxy S is a line of mobile phones from Samsung, The Cherry Mobile Flare (let's just use FLARE as an example for the time being) is actually a KARBONN phone, an Indian(?) company. pag dating sa pinas ni rebrand ang fon na ito at bkit naging 12mp ang rear cam from 8mp pati front naging 2mp from 1.2mp, at wla nmang nabago sa fon... Any one can EXPLAIN???? sa unang bwan na gamit ko kala ko sira battery mabilis ma lowbatt. but habang tumatagal ginagamit ko lalong tumatagal ang life ng batt. no other issue. be practical mura n para sa isang pinoy. china man o hindi nasa paggagamit yan. Don't believe in the given specs but the review of one another :) ..
Peace of advice, do not remove the screen guard.. I dont think Dragon Trail Glass is enough to trust that the screen of this phone will not get any scratch. Sad to say, but my CM Omega HD 2.0 got a scratch after removing the screen guard. But above all, I love the quality of this phone..enjoying it so far. Im planning to root this phone, any advise if it's safe? It's safe, if you know the way around. Otherwise don't do it. hello po, ask ko lang kung pede gamitin ang any CM phones outside the country like Qatar. plano ko po kasi magpabili jan ng skyfire 2.0 or omega hd 2.0 then gagamitin ko siya dito. any previous issues po ba about compatibility ng CM regarding telecoms outside PH? Ok naman po gamitin yung CM phone sa labas, openline na kasi yan. Interesting kau ha. Bibili nga aq!! Wish q lng d aq mapahiya ha.? There's so many bad issue about this new Cherry Mobile omega HD 2.0 like the camera, the photo was not really clear for a 12mp camera. it is not a scratch free resistant.